There are still limited stocks of these fun and colorful alphabet patron saint cards! 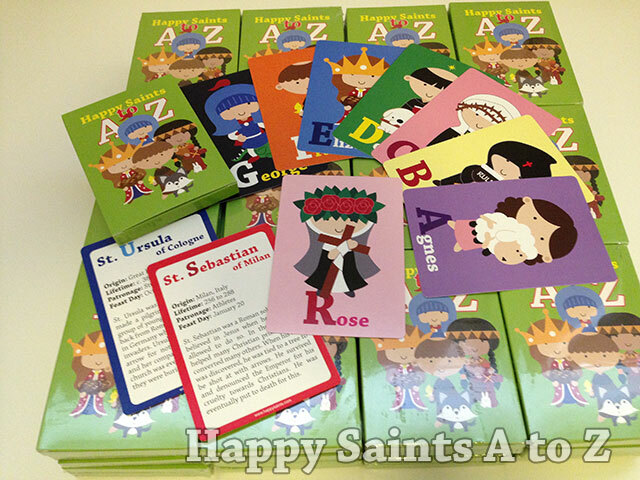 You can now order the Happy Saints A to Z Printed Card Set or eBook separately. The bundle offer is still available and is a better deal as you get both printed set and ebook at a nice discount.